"YOU WILL THINK YOU HAVE DIED AND GONE TO HEAVEN"
'My Heaven' is a family-friendly 4 bedroom/2 bath cottage located in Maravilla Beachfront Resort. 'NOT BEACHFRONT BUT JUST A SHORT WALK BUT NO BEACH VIEW'. The resort offers two and one-half acres of private beach, two swimming pools (one heated), spa, clubhouse with exercise room and tennis courts. You'll fall in love with the private white sandy beaches and beautiful emerald green waters. 'My Heaven' is just minutes from Silver Sands outlets, fabulous restaurants, magnificent golf courses and the 'Luckiest Little Fishing Village in the World'! 'My Heaven' is truly your home away from home, fully equipped from your kitchen to your beach chairs and floats. All you need is your beach towel and swimsuit! You will find a light and airy floor plan with bright colors and comfortable decor. We hope 'My Heaven' becomes your heaven. RENTAL POLICIES: We are proud to offer your family accommodations (no vacationing students) with below market rates, so that you can enjoy a beach vacation on the Emerald Coast. The security/reservation deposit of $300 is required and due upon booking a reservation. Rates do not include a 11 % sales tax. No refunds for early departures or late cancellations. Reservation/security deposit will be refunded by check within 14 days of departure providing there is no damage or theft and all policies and conditions are followed. Payment is due 30 days prior to your arrival. Master Bathroom has a separate garden tub and shower. The second Bath has a tub/shower combination. THERE IS A OUTSIDE SHOWER ON THE LEFT SIDE OF THE HOUSE JUST OUTSIDE THE GARAGE, PERFECT FOR THE KIDS. A very short walk to 1000 ft of Beach. 4 car driveway, no street parking. The Kitchen has been updated with new cabinets and countertops. It is fully equipped like your kitchen at home. The front porch is a great place for your morning coffee. Backyard patio, chairs & table with umbrella. 'My heaven' was a very nice place that we enjoyed staying at with my family. It was in a nice location. The beach was just a short walk away. Though we didn't end using either of the two pools available, it was nice to have that option. We chose to hang out on the beautiful white sand beaches and crystal blue gulf. We also took advantage of the 2 tennis courts that are available. Molly, the owner, was great to work with and so was Debbie, the house manager. We wanted to use a crockpot for one night and Debbie brought us over one later that day. She answered promptly to any questions we had. The house was clean and well stocked. This was our first time in Destin. The area was nice and there was a lot to do. Wish we had more time to explore the area. Great shop and restaurants close by. I know the time of year is high peak season, so it was a bit crowded and traffic was a bit heavy. It looks like they are doing a lot of construction in the area to make the roads less congested. I would definitely visit again, but probably at a less busy time. Thank you. My Heaven was the perfect place for our family for vacation. A beautiful home with everything we needed for our family to feel like we were at home... and a quick walk to the beach. Thank you to the Edmondson family for letting us share your home! Thank you for your kind words, we love "MY HEAVEN"
and hope our guest have a fun and relaxing vacation. Great house with everything needed for a wonderful family vacation. It is a great place to relax and enjoy your friends and family. Home was lovely. Sapcious. Walking distance to beach. Home well stocked and well maintained Beach chairs and wagon for outings. Great location. 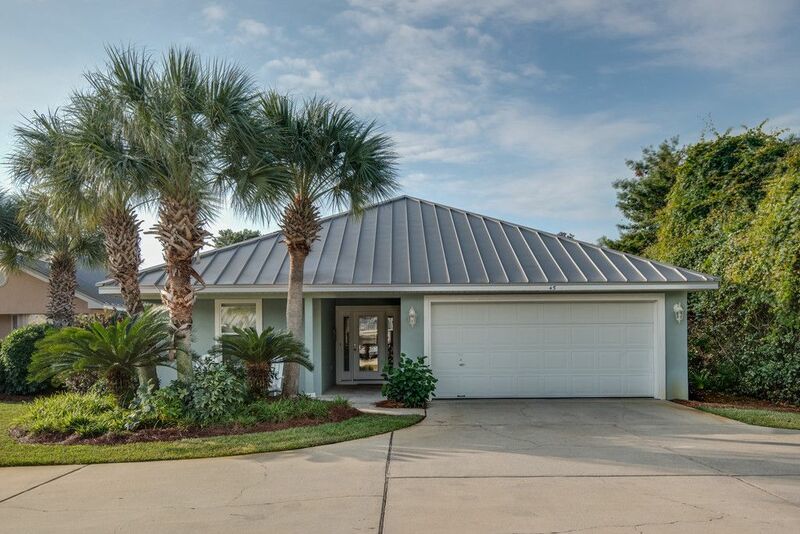 Quick access to destin or sandestin. We had a wonderful time in Destin. The house was just as described. Plenty of room for 4 adults and 6 children, well stocked kitchen, and great location. It was a short walk to the beach, which was absolutely beautiful. Molly was great to work with. We would definitely recommend Molly and her property! On a side note, be sure to visit McGuire's Irish Pub, it's amazing!